Contemporary social technology means that we are witnessing something new: information pollution at a global scale. How do we begin to address information pollution? 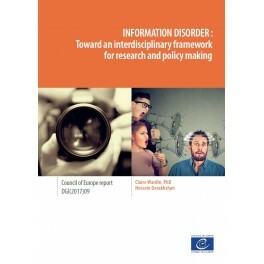 This report provides a new framework for policy-makers, legislators, researchers, technologists and practitioners working on the theoretical and practical challenges related to mis-, dis- and mal-information — the three elements of information disorder. While the historical impact of rumours and fabricated content have been well documented, the complexity and scale of information pollution in our digitally-connected, increasingly polarised world presents an unprecedented challenge. 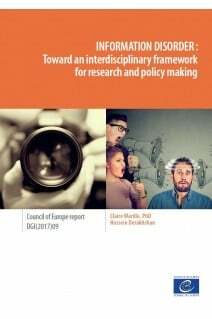 There is an immediate need to work collaboratively on workable solutions and this report provides a framework for the different stakeholders involved in research, policy discussions, and technical innovations connected to this phenomenon of information disorder. 1) The Agents: Who are they and what motivates them? 2) The Messages: What format do they take? 3) Interpreters: How do they make sense of the messages?